To meet increasing demand for big backyards which accommodate pools and large outdoor entertainment areas, Dahua Group Australia have incorporated super-sized lots in the layout of their $1 billion New Breeze community in Sydney's South West suburb, Bardia . The inclusion provides a rare opportunity for house hunters to purchase a home with a yard. There are twenty super-sized lots are that range in size from 500 square metres up to 1800 square metres, and are priced from $576,000. “The great Aussie dream for many is to have a big backyard with a swimming pool and plenty of room for the kids to play and guests to enjoy a BBQ with friends," New Breeze Sales Manager Jesse Johnson said. 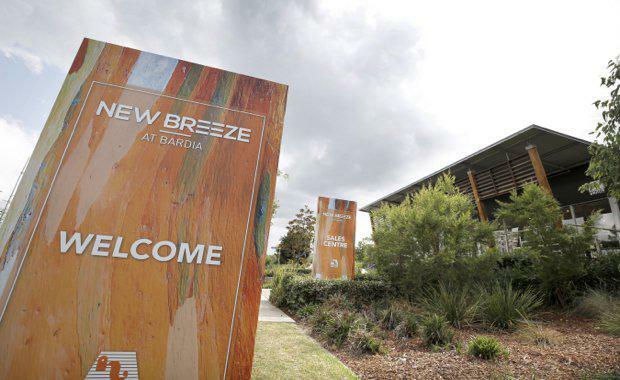 "New Breeze is offering a few select purchasers this very rare opportunity in the South West. “In the past few months as the weather starts to warm up, we are receiving more enquiries from young couples, families and up-sizers looking for a large backyard for lifestyle purposes. They are keen to include pools and large alfresco spaces in their new homes. "The news of the availability of the New Breeze super-lots have come after the development recently hit over 250 sales since its launch in April, which positions the masterplanned community as the fastest selling development in the South West growth corridor. It is also situated adjacent to an existing school (Bardia Public School), the future Edmondson Park Town Centre, Hume Highway and Edmondson Park Train Station. Liverpool Westfield, Casula Mall and Crossroad Homemaker Centre are all within a 10 to 15 minute drive. Twelve public and private schools including Macquarie Fields High School and William Carey Christian School are also within a 15 minute drive. Construction started in July 2016. The new houses are expected to be built from mid 2017.